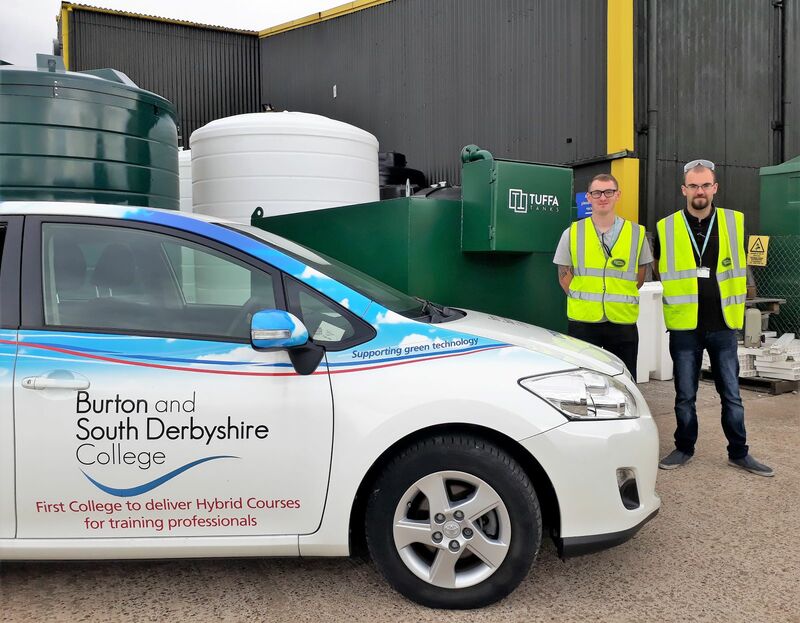 Tuffa UK is working with Burton & South Derbyshire College (BSDC) to discuss a new initiative to help the college’s students. BSDC has its main campus in Burton with a Construction Academy in Swadlincote. 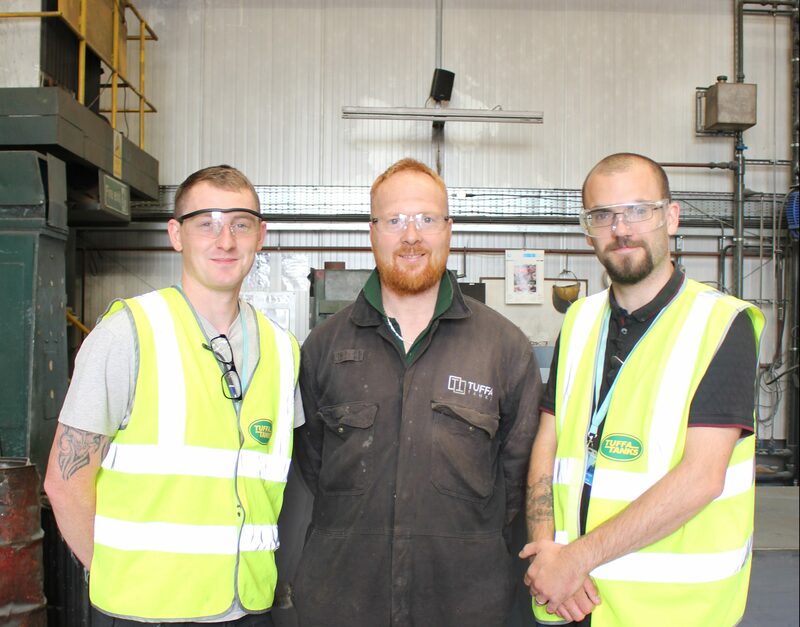 Course Leaders Tom Syson and Liam Cooper met with the Uttoxeter based tank manufacturer to secure a consignment of off-cut plate steel to help students develop their welding skills. Welding Course Leader Tom Syson explained the idea. “It’s vitally important for our students and apprentices to get practical welding experience as part of their course. One of our apprentices, Shea Gibson, works at Tuffa, so we approached them to see if they could help,” he said. Shea Gibson, 19, has worked full time for the last three years as a Production Operative in the steel workshop at Tuffa, but is also in the process of completing his apprenticeship in Level 3 fabrication and Welding at BSDC. Every 5 weeks he spends one week at the college, learning practical welding and theory. Tuffa Workshop Manager, Jason Shenton, takes up the story. “We manufacture steel tanks in 6mm mild steel in capacities up to 180,000 litres. As an example, we supplied a 15 tonne, 50,000 litre steel fuel tank to the new DP World London Gateway port facility for ALT Haulage Contractors. We use 3mm and 6mm plate steel and have odd sizes of off-cuts in our steel workshop,” he added. BSDC’s Mechanical Engineering Course Leader, Liam Cooper visited the factory too, as Tuffa will also provide spare pipework and tubes for his students and apprentices to work on. The plate steel off-cuts, piping and tubes will be given to BSDC later this month in time for the apprentices to start their courses at the beginning of October. The welding and mechanical engineering courses are just 2 of over 110 courses offered by BSDC. Tuffa Tanks Steel Workshop Manager, Martin Maras is delighted to be helping local students. “Shea from our own steel team is already developing his skills through an apprenticeship at BSDC so it’s good to build our relationship with our local college,” he said. “We all have to start somewhere and the best way to learn is by practising. 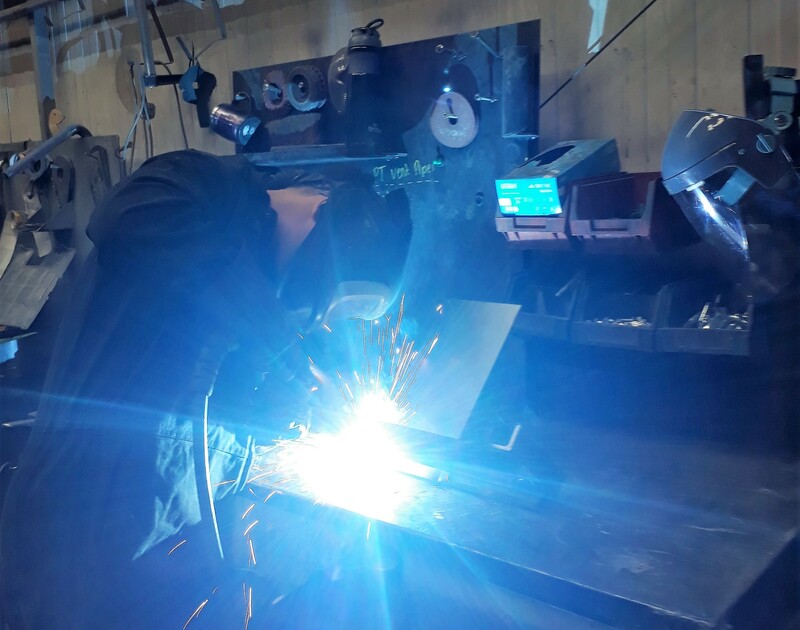 It’s great that we can use our off-cuts to help the next generation of local welders and mechanical engineers to forge their careers,” he added. To find out more, please visit www.bsdc.ac.uk for course information or see full details of the Tuffa range of steel and plastic tanks here.